Two young men in Pakistan murdered their mother and two teenaged step-sisters after accusing them of adultery, police said Tuesday. The incident occurred Monday night in the eastern city of Lahore, police official Faiz Ahmed told dpa. The suspects, one a teenager and the other in his early 20s, slit the throats of all three victims when the women returned home after visiting relatives in another city, Ahmed said. They were scheduled to appear in court later Tuesday, he said. The suspects confessed during the initial investigation, saying they suspected that their step-sisters were involved in prostitution, Ahmed said. 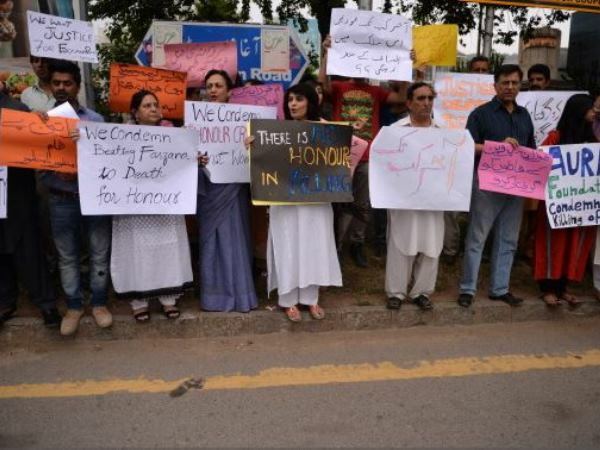 An estimated 1,500 women are killed each year on the pretext of family honour, according to rights group Aurat Foundation and other organizations who monitor such cases. Suspects often escape punishment, taking advantage of loopholes in what lawyers have called outdated and complicated laws, which allow families to pardon killers. Die lewe is n reis!! I'm a 60 year old woman looking to meet men between the ages of 50 and 65.